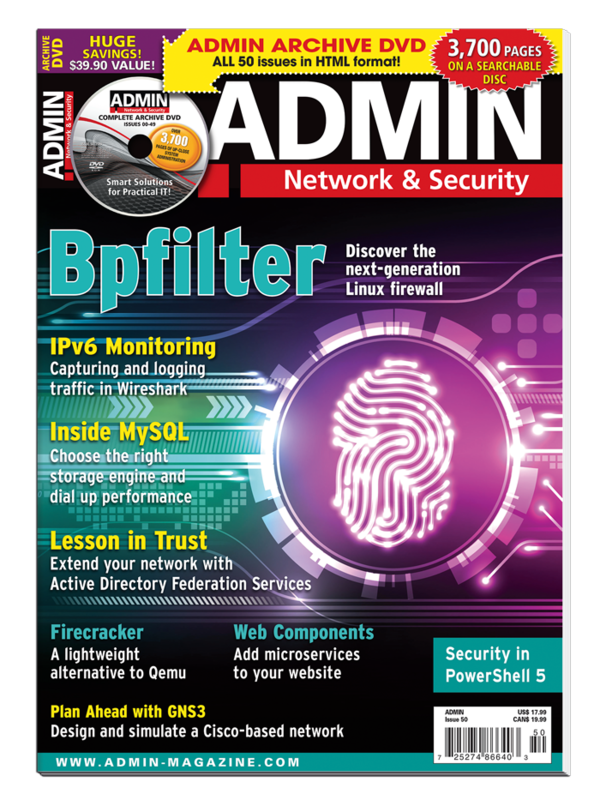 Subscribe to the digital edition of ADMIN Network & Security in addition to your print subscription! ADMIN is the leading technical magazine for system administrators on heterogeneous networks, with detailed, practical articles on securing, configuring, managing, troubleshooting, and optimizing Linux, Unix, Windows, and Solaris systems. Download the digital edition onto your laptop, desktop, or tablet and enjoy to read and enjoy (DRM-free). This discounted digisub rate is only available to current print subscribers and runs parallel to the print subscription. Your subscription will automatically renew annually at the subscription rate ($7.50) in effect at the time of renewal until you cancel your subscription. You will receive a notification via email when your subscription is up for renewal. Unless you inform us otherwise, we will renew your subscriptions with the credit card used with the initial order. You may cancel your subscription at any time and receive a full refund on all unreleased issues. Please do not hesitate to contact us at cs@admin-magazine.com, if you have any questions.